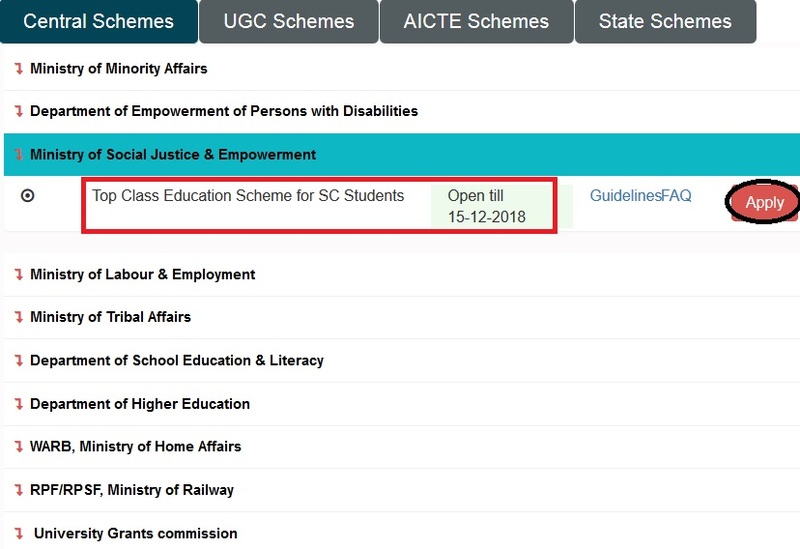 Ministry of Social Justice & Empowerment invites applications for Top Class Education Scheme for SC Studenst for the year 2018-19. ** Students belonging to the Scheduled caste, who have secured admission in a notified institution are eligible to apply for this scholarship. ** Total family income from all the sources must be less than INR 6 lac. ** The scholarship is to be allotted to 1st year students. ** If the number of scholarships exceed the number of students in 1st year, then the scholarship can be awarded to 2nd, 3rd & 4th year students. However, 1st year gets priority over 2nd year and so on. The scheme is implemented through National Scholarship Portal (NSP). 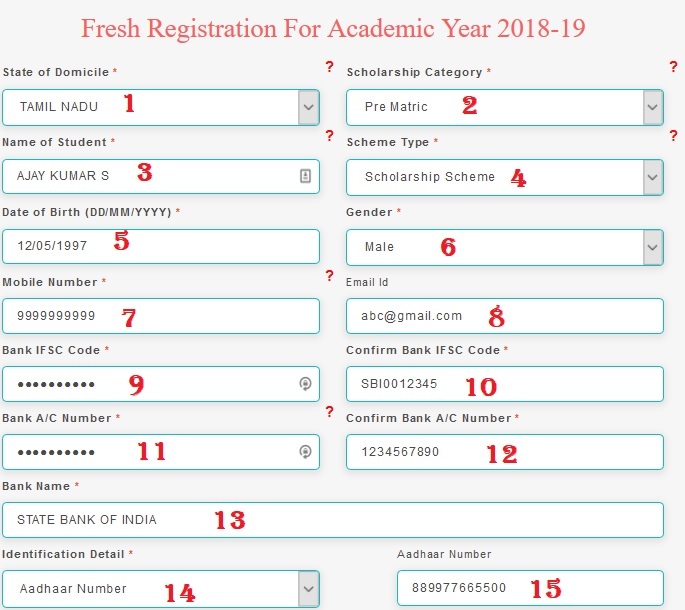 Just follow the below steps to apply for the Scholarship For Top Class Education 2018-19. Step 2 : Then Select Central Schemes tab and Click on Ministry of Social Justice & Empowerment link in the drop down list. 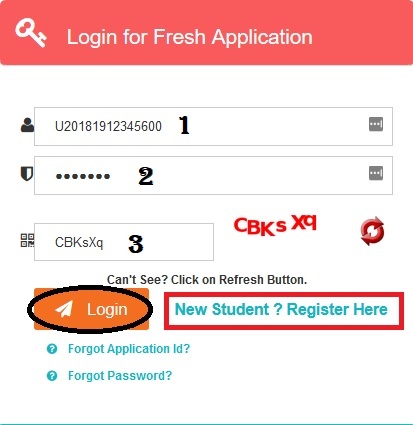 Step 3 : After that Click Apply link in the Scholarship For Top Class Education For SC Students. (ii) living expenses to the beneficiary @ Rs. 2220/- per month per student. However, the advance payment of living expenses, to be paid directly by the Central Government, through Direct Benefits Transfer mode would be restricted to 1 quarter only. (iv) a latest computer with accessories like UPS, Printer, Multi-media limited to Rs. 45000/- per student as one time assistance during the course. The Institute will procure computers and supply to the awardees. Alternatively, the Institute may also consider re-imbursement of expenses made by a student on Purchase of the computer. Limited Rs. 45,000/- provided, the computer and accessories are procured from a reputed manufacturer/supplier. I have filled the form but it is showing, for your given information no scheme is available. What should I do now? Please let me know.